As an impressionable young gardener (alas, young in gardening years only) I had to have one - the writers in my garden magazine said so. This was the new age perennial which was taking New Zealand by storm. So I mail-ordered in some Corydalis plants and planted one in a planter box by the house decking. 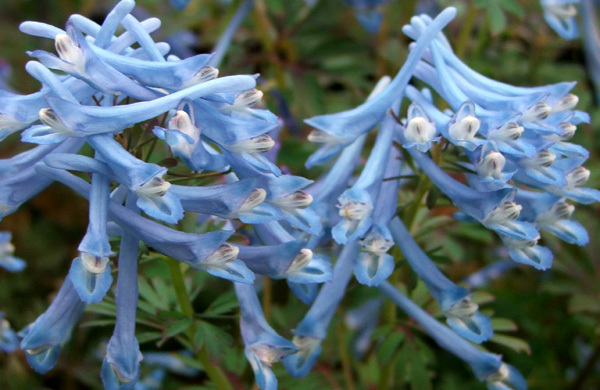 I'd read that Corydalis 'disappeared' over summer, so this was the best way not to lose my new blue treasure. I was a Corydalis novice - I'd never even seen the yellow-flowering woodland variety. It is a pretty perennial plant, in both flower and its delicately shaped foliage. And sure enough it does disappear from view in the hotter months, but every spring it's back, just a tiny bit bigger, with those wonderful Wedgwood blue flowers.